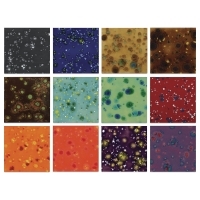 Amaco Crystaltex Glazes consist of a basic color, with the addition of one or more crystals of contrasting colors. No two pieces will ever be alike. Brushing, dipping, or pouring methods are recommended for this glaze. See manufacturer's instructions for spray application. Glazes come in liquid form. Cone 05. Set No.1 is not dinnerware safe. Set No. 1, Class Pack of 12 — This set includes one pint of each of the following colors, CTL-9 Snap Dragon, CTL-20 Royal Turquoise, CTL-22 Milky Way, CTL-26 Sea Mist, CTL-35 Nutmeg, CTL-54 Firecracker, CTL-1 Jet Moss, CTL-10 Peppermint Ice, CTL-11 Snow Fire, CTL-12 Mardi Gras, CTL-15 Moon Scape, and CTL-34 Granada. Set No.1 is not dinnerware safe. Set No. 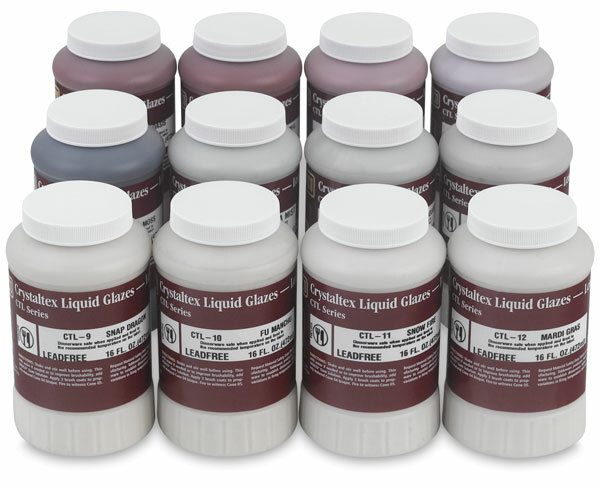 4, Class Pack of 12 — This set includes one pint each of CTL-23 Moody Blue, CTL-31 Brown Earth, CTL-36 Gingerbread, CTL-46 Ultramarine Jewel, CTL-48 Sun and Sea, CTL-49 Azurite, CTL-54 Firecracker, CTL-67 Summer Mango, CTL-69 Sassy Saffron, CTL-70 Magnolia Jewel, CTL-71 Purple Blaze, and CTL-3 Lava. Set No. 3, Class Pack of 6 — This set includes one pint each of CTL-23 Moody Blue, CTL-44 Turritella, CTL-45 Sunset Jewel, CTL-47 Tangerine Dream, CTL-67 Summer Mango, and CTL-42 Fantasia. 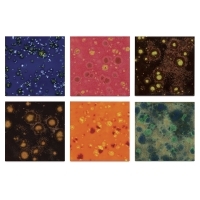 Set of 6, Non-Toxic — This set includes six lead-free, non-toxic glazes, including one pint each of CTL-1 Jet Moss, CTL-10 Peppermint Ice, CTL-22 Milky Way, CTL-41 Melon, CTL-54 Firecracker, and CTL-61 Buttercup.